Atlanta based Avant Training, provides continued education training and seminars for today's psychologists and therapists. The team approached our work with an idea of what they wanted their brand to say but we uncovered a completely unique story that helps position them within their industry. Their standout identity was inspired by academia, with a warm and approachable feel. 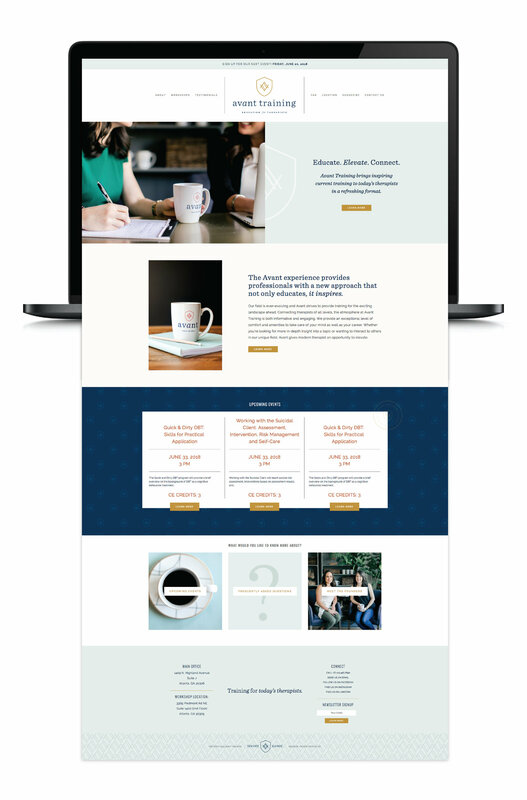 We designed a custom website to drive traffic to their upcoming events, sell event tickets, and to tell more of their story.